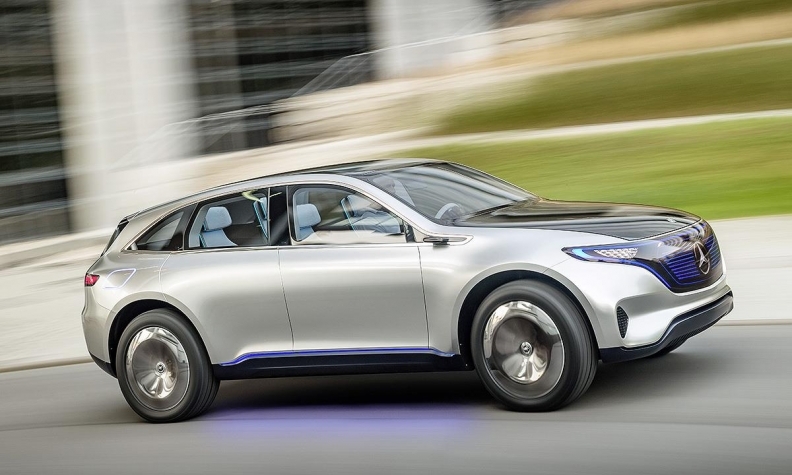 Daimler unveiled a near-production EQ SUV concept at the Paris auto show. Daimler's decision to build the EQ electric car and the car's lithium-ion battery in Germany underlines the importance of its domestic operations in the transformation to zero-emission electromobility. Daimler's Mercedes-Benz unit will the EQ in its C class factory in Bremen, northern Germany, starting at the end of the decade. Battery packs will come from the automaker's Kamenz plant, near Dresden. Where electric vehicles and their battery packs and cells are built is a hotly debated topic among German carmakers and their unions. Audi chose to manufacture its e-tron quattro electric vehicle in Belgium starting in 2018, upsetting Audi's German labor leaders who have called on the company to build more EVs in Germany. Many domestic labor leaders fear powertrain plants for conventional combustion engine cars may need to shrink or close entirely in the future when EVs play a bigger role, resulting potentially in the loss of thousands of German jobs. German unions, which occupy key non-executive director posts on the supervisory board, are pushing management to produce key components such as the electric motor, AC/DC current inverter, battery pack and cells, rather than outsourcing them to suppliers. Ideally they hope they can all be situated in Germany, preserving at least some employment even if these components require less manpower due to their more simplistic schematics with, in the case of electric motors, fewer moving parts.